In 2009, Honduran elites financed a coup to grab land and power. The peasants of the Aguán Valley are fighting to grab it back…for their families, local economies and the future of democracy. If you want a deeper understanding of the global land grab emergency, you can’t do better than this book. Through meticulous research, unapologetic attention to history, and crackling critique…this book reminds us not just why, but what we fight. – Naomi Klein, author of The Shock Doctrine and Avi Lewis, director of The Take. Journalist Manuel Torres Calderón (2002) calls Honduras the “unknown country,” the least known and the least understood country in Central America—primarily thought of as a “banana republic” and a US base for counter-insurgency in the 1980s. Indeed, compared to most Latin American countries, there are few English-language books about Honduras written for a popular audience. Even after the June 2009 coup that ousted President Manuel Zelaya and the massive popular movement that followed, Honduras languished in mainstream media obscurity, overshadowed by celebratory coverage of the Arab Spring. When the media did report on Honduras (or Central America in general) it generally portrayed the region as a hopeless “basketcase” beset by gangs, crime and a tragically unwinnable War on Drugs. These portrayals tell us little about the structural (political and economic) causes of poverty and violence. Nor do they show us how fiercely Hondurans are fighting to take back control of their local economies, protect their families from violence, and build democracy from the ground up. Over the last three decades, the poverty generated by Honduras’ unequal land distribution has been magnified by climate change and natural disasters, rising food prices, and land grabs for corporate agribusiness and tourism development. While deepening vulnerability, these events also sparked new forms of grassroots organizing and political consciousness. 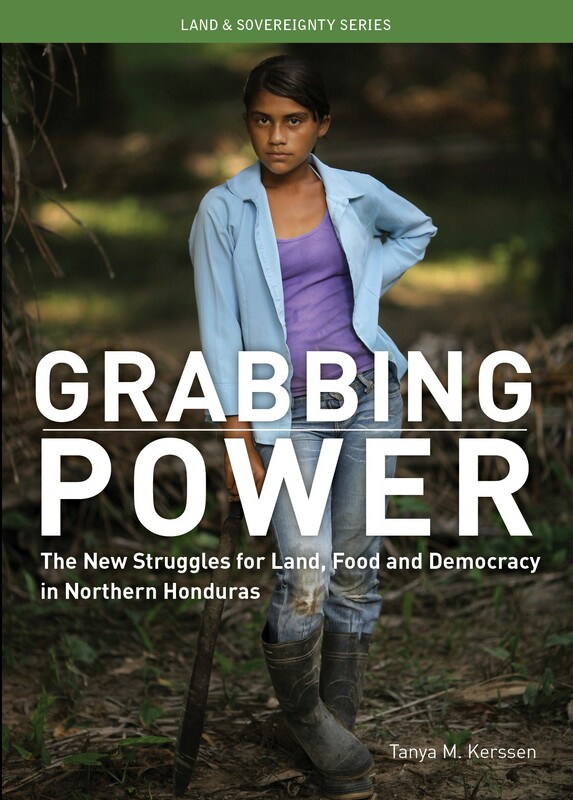 This book explores the dramatic expansion of agro-industrial development in northern Honduras in the neoliberal era, its relationship to strengthening elite power, and the seeds of popular resistance it has paradoxically sown. Honduras is not a hopeless basketcase. It is, like many countries in the global South, a country where hunger, poverty and violence are rooted in a lack of genuine democracy (and not, as some would have it, a lack of foreign aid or economic growth). And that is precisely what Honduran peasant movements are fighting for: the democratization of land, food and political power. Tanya Kerssen is a researcher at Food First/Institute for Food and Development Policy, where she analyzes the root causes of hunger and works to amplify the voices of social movements fighting to transform the global food system. She writes and teaches on the political economy of food, agriculture and peasant resistance, with a focus on Latin America and Africa. She is engaged in solidarity work in support of Honduran land and democracy movements in the aftermath of the 2009 coup.